Make the flowers to bloom by clicking them. 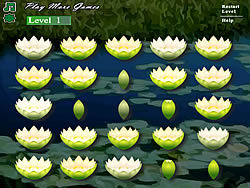 Every level is more difficult, so you will have to use your skills to understand which flower must open before. When a flower is clicked, you affect the 4 flowers attached to it.